Pfc. Don O. Brown, son of Mr. and Mrs. W. E. Brown, attended school in Frederick. 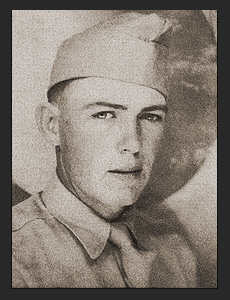 Entered service in Oct.1943, trained in Camp Fannin, Texas; went overseas in March 1944; served in New Guinea, East Indies, the Philippines, was wounded in action Nov. 1944 in Leyte. Awarded Purple Heart.